Dr. Christopher Khorsandi is skilled to perform cosmetic surgery of the breast, body and face. He is a breast augmentation and breast lift specialist, and combines them with other body contouring techniques, such as tummy tuck and liposuction to create gorgeous curves and silhouettes. Be sure to inquire about our liquid facelift, which includes nonsurgical treatments such as fillers, chemical peels and laser treatments. Dr. Khorsandi is a proven Plastic Surgeon in Las Vegas, NV that cares about his patient's outcomes and experience. 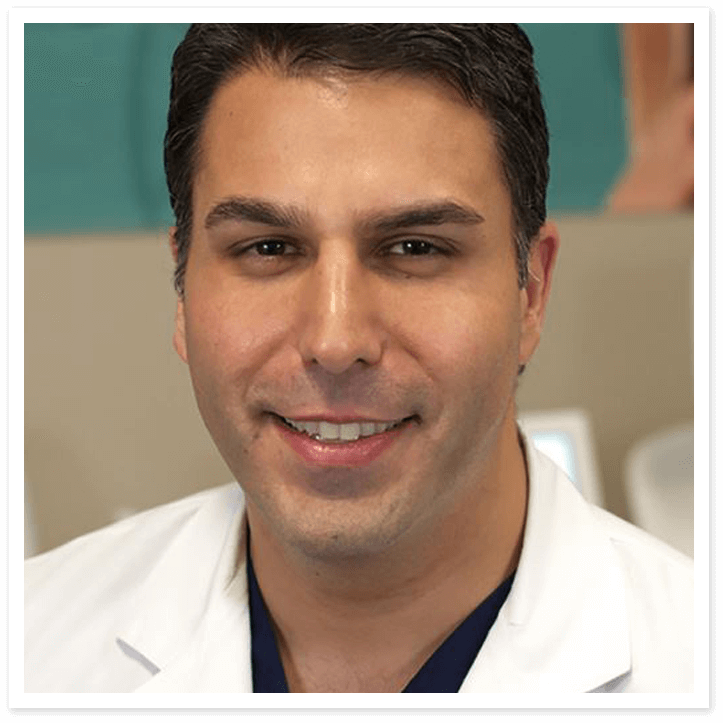 As a Board-Certified Plastic Surgeon, Dr. Khorsandi has met rigorous standards that qualify him as one of the best. The attentiveness and care he gives his patients is unmatched. So I am updating my review and I'm still giving everyone a 5+ star rating! I did the fraxel on Monday and it's Sunday evening and yes I am still pink but the results are amazing! My hyper pigmentation and most of my texture is gone! I also received a chin implant with Dr K on Wednesday so I'm still swollen with that but I know I'm going to love the result of that as well! Again I need to give a shout put to Mel for being a beast with a laser! She is my go to when it comes to my aesthetic needs and also Dr K for giving me confidence with my profile. I just wish the swelling would go down faster! lol damn lack of patience. Well I now have a laundry list of other things I would like to tweak. And I know VIP is the place I can trust and know I'll get the best work done! My recent experience at VIP Plastic Surgery was nothing short of amazing! I came in and saw Sarah for laser treatment and couldn't have been happier with our interaction. She was super professional, kind and very knowledgeable. She explained the treatment to me with a ton of detail and continually checked in with me during the procedure so I knew exactly what she was doing the whole time. She made me feel very comfortable and definitely eased my nerves. VIP is lucky to have such a valuable asset with Sarah and I will be coming back to see her as much as I can afford. Dr. Khorsandi is a miracle worker! I live in California and went to Las Vegas to see him and I'm so happy I did. My lips look amazing! His whole staff is great, especially his wife Catherine who is so knowledgeable and helpful. I look forward to trying out their skin treatments next. Thank you VIP Plastic Surgery for an amazing experience! Love my Lips - This was the first time I had anything done so I was nervous. But it was only a positive experience from the moment I walked in the door. The staff were super friendly and professional. I recommend Dr. Khorsandi to anyone. I’ve had my lips filled and absolutely love it! Every procedure I have done has been better than I expected. I am excited to do my breast next. VIP Plastic Surgery in Las Vegas, NV creates an exceptional patient experience for every guest. Our friendly and skilled staff ensures all details of a patient’s cosmetic journey are handled with care and professionalism, and our facility is warm and inviting. We invite you to tour our facility, read about our practice and meet our team. Dr. Khorsandi and the staff at VIP look forward to welcoming you to our surgery center. VIP Plastic Surgery strives to make every patient experience easy and convenient. When you arrive to your appointment to see Dr. Khorsandi, we want you to be relaxed and calm as you prepare to visit with him. Therefore, we are happy to provide the necessary forms and paperwork for you to complete ahead of time. We also offer flexible financing, which you can learn about here as well.